When I was planning my route out to Wyoming this spring, Grand Canyon National Park was pretty much the point I plotted our route around. We had been here once before many years ago, but only to the west end. We had been in Las Vegas for a long weekend, and had taken a day tour that took us to Hoover Dam and the west end of the Grand Canyon. Since that glimpse, we have always wanted to return, and that time was now :-). 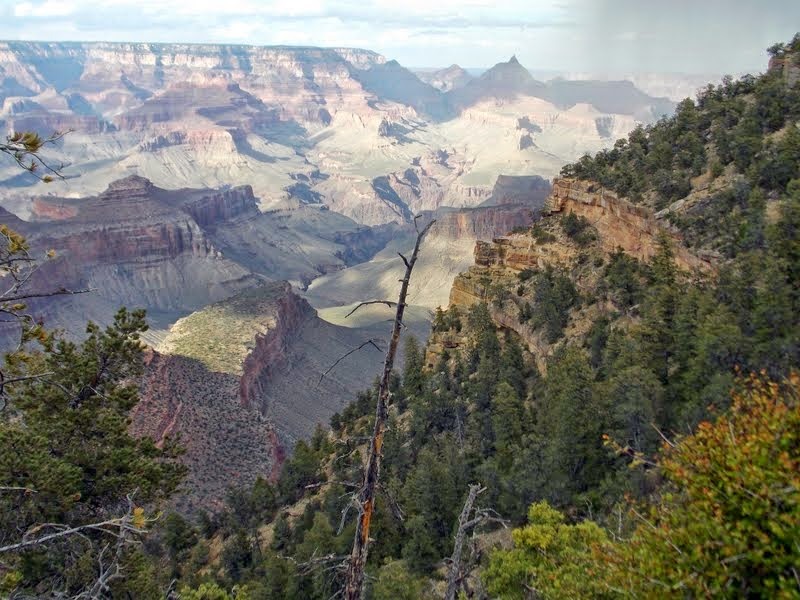 Knowing there was an RV park at the south rim, I had secured a reservation for four nights back in January. I specifically wanted to be there for the convenience factor: we would be close to the activities, enabling us to take breaks at lunch time to have lunch at the campsite and walk the dogs in between activities. 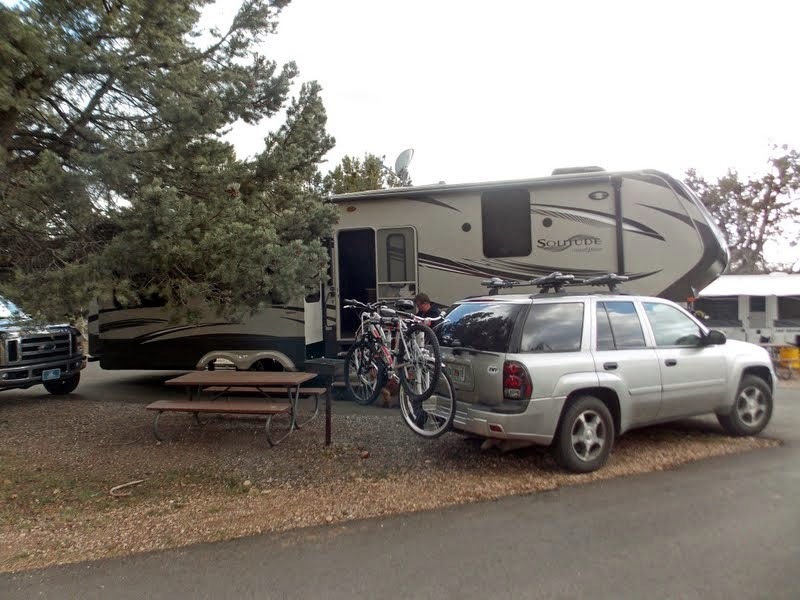 Once there, I saw that Canyon Village RV Park in Tusayan really wasn’t too far from the action, but Trailer Village right in the National Park was nicer, and was $20.00/night less expensive :-). Sites are pretty close together, but both the sites and the roads look like they’ve been recently paved and are in great condition. Very happy with our site at Trailer Village in Grand Canyon National Park. Not so pleasing was the weather :-(. As we drove west from Gallup New Mexico it was spitting rain, a little hail and sleet on and off. It was overcast upon our arrival, but luckily no precipitation while we were getting set up. We took a quick ride to Grandview Point along the rim for our first glimpse into this big hole in the ground.